- You get lots of game points and scores on facebook applications only! - You can fool facebook applications into thinking you sent requests/invites when you didn't actually do so. - When installing a new application on facebook, you will invite friends, but they wont see that you actually invited them. - Have fun on facebook without pestering your friends unless you want to. 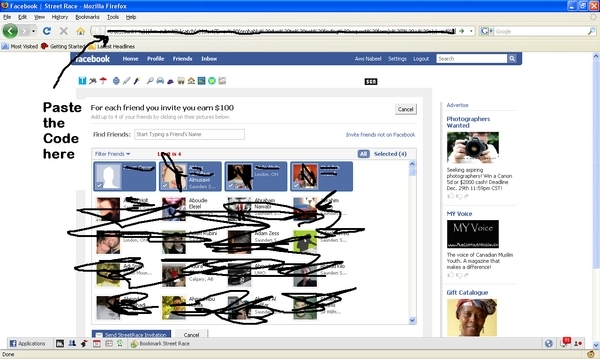 Go to any application on facebook, and then select friends that you want to invite and lastly paste the previous code! Decline Invites on Facebook Script decline;facebook;internet;invites 5017791 24.00 awsnabeel1990 Fresh Download Available!